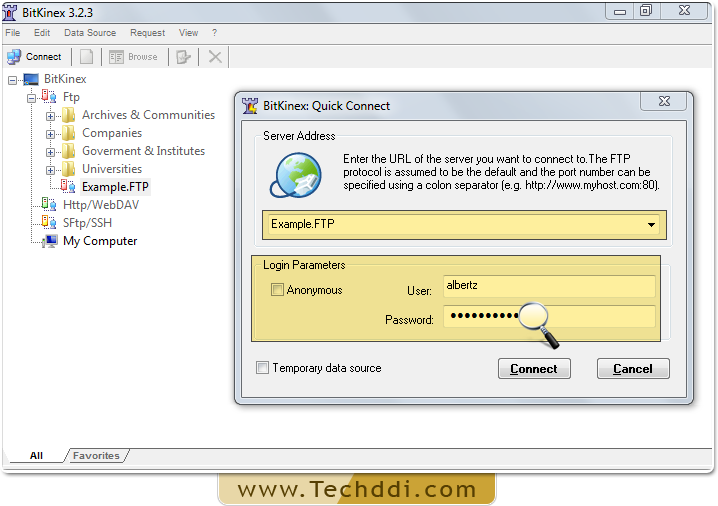 Password Recovery For BitKinex allows user to reveal lost or misplaced password from BitKinex software. Password recovery program is compatible with Windows 10, Windows 8, Windows 7, Windows Vista, Windows XP and all other latest operating systems. 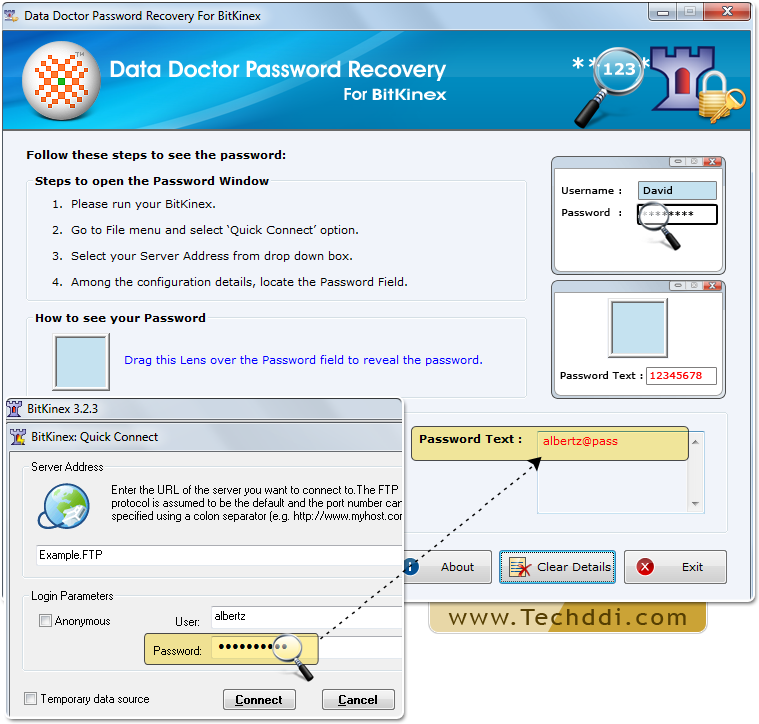 Password retsoration using Password Recovery Software For BitKinex. 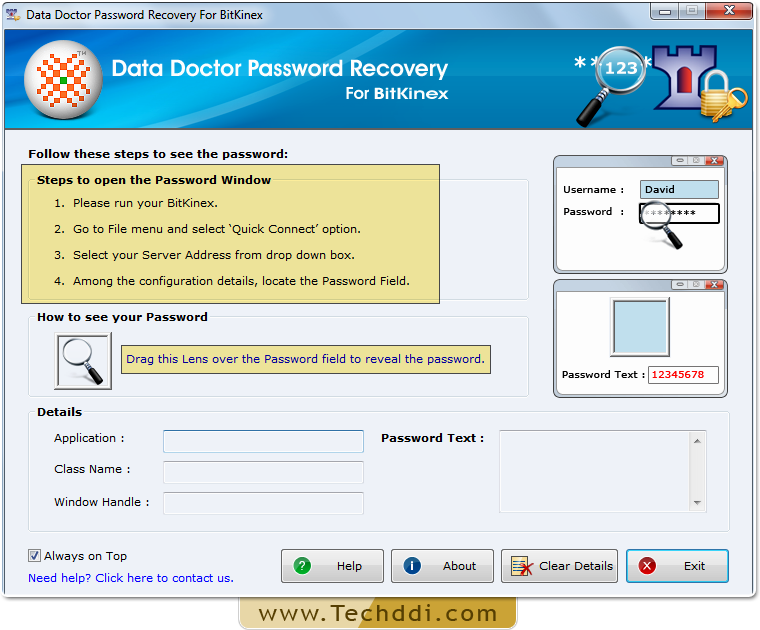 Install and Run Password Recovery Software For BitKinex. 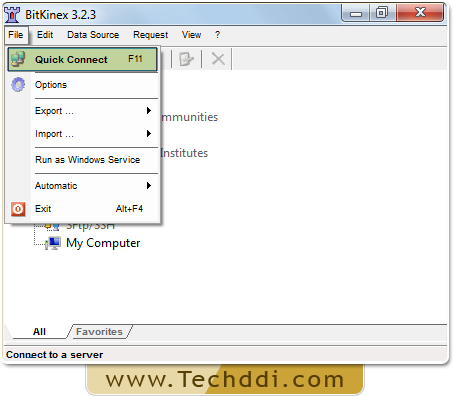 Run BitKinex Software and Go to ‘File’ Menu to choose ‘Quick Connect’ option.